Tribble: one who tweets on twitter at #Hewitt during the Hugh Hewitt radio show which is on the Salem radio network. This name was so dubbed by the man himself, Hugh Hewitt. 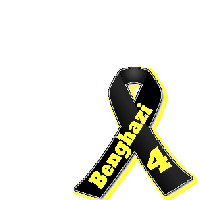 There are many of us who will not let this administration and this main stream media sweep the Benghazi terrorist attack scandal under the rug. We want justice and truth for the families of the Benghazi 4. Every patriotic American should never rest until the truth comes out and justice is done. While we remember the Benghazi 4 and demand justice for those families, we seemed to have forgotten the Ft. Hood 13. On November 5, 2009 Major Nidal Malik Hasan, an Army psychiatrist, committed a mass shooting at Ft. Hood near Killeen, TX killing 13 and wounding 31. Nidal Hasan was yelling "Allahu Akbar" as he was committing his jihad against his fellow American soldiers. The Obama administration to this day has called this an act of workplace violence. Major Nidal Hasan has yet to be brought to justice. What is even more sickening than this being called an act of workplace violence, those patriotic military men and women killed by Nidal Hasan will not be given purple hearts. 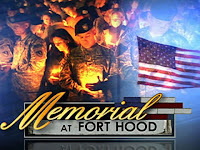 "The U.S. Army on Friday formally declined to award Purple Heart medals to the victims of Major Nidal Hasan's shooting rampage at Fort Hood in November 2009, saying the move would damage his ability to receive a fair trial." If all this wasn't bad enough to take for the families of the victims of the Ft. Hood 13, there is this from CNN on November 11, 2011 in an article entitled "Victims of the Ft. Hood shooting sue the Army..." The families of those killed in the terrorist attack were suing the government for failure to stop the attack from an obvious jihadist. "Although they had clear knowledge and warnings that Hasan posed a grave danger to the lives and safety of soldiers and civilians with whom he came into contact, they did nothing to eliminate the known risk posed by him," ..."On the contrary, bowing to 'political correctness,' the DOD (Department of the Army), DOJ, and FBI, in wanton disregard of the safety of military and civilian personnel, intentionally ignored the threat he [Nadal Hassan] presented,"
Later in the article from CNN Sen Joe Lieberman, CT said that " they [the Department of Defense and the FBI] collectively had sufficient information to have detected Hasan's radicalization to violent Islamist extremism but failed both to understand and to act on it." While Nadal had contacts with the American born radical Al Qaeda cleric Anwar Al-Awlaki, the attorney for the families Neal Sher pointed out: "It is a tragic irony that our government sought out and killed al-Awlaki, while Hasan was promoted in the Army and put in a position to carry out his murderous terror attack"
Think about the heartaches and injustices the families of the Ft. Hood 13 have had to endure: 1.Their loved ones have been killed in a terrorist attack that almost surely could have been prevented if not for the political correctness of eliminating the linking of radical Islam to terrorism. 2. The act was not called a terrorist attack but an act of workplace violence. 3. Their loved ones will not receive Purple Hearts because, the Army says, that might interfere with "Hasan's right to receive a fair trial." and 4. To this day, Nidal Hasan, the terrorist who killed their loved ones has yet to be tried. 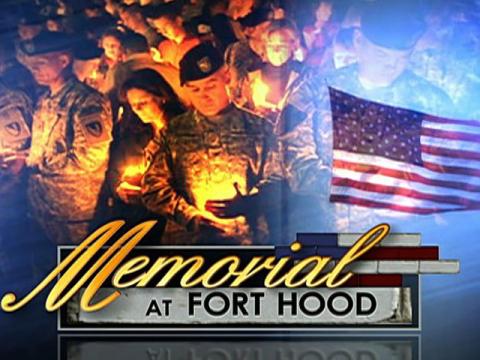 So, as we demand truth and justice for the Benghazi 4 and their families, let us also do the same for the Fort Hood 13. Let us never forget the Benghazi 4 and the Ft. Hood 13! I am a Jewish center/right independent [have become in the age of Trump], married to my wonderful Sheralyn and have a beautiful daughter, Ebony and on Dec. 11, 2015 grandpa to my grand daughter Skye. Love classical music, sports, politics, Houston Astros, Texans, Rockets and UH Cougars! What Is Going On With The Rasmussen Reports Poll? A Classical Music Happy Easter 2019! Where Is The New York Post Headline Now? : "Obama Knew"
Hugh Hewitt: "I Cannot Believe This Is Happening In America"
Through the Looking Glass of the Left: Is God Immoral? Happy Easter! He Is Risen!